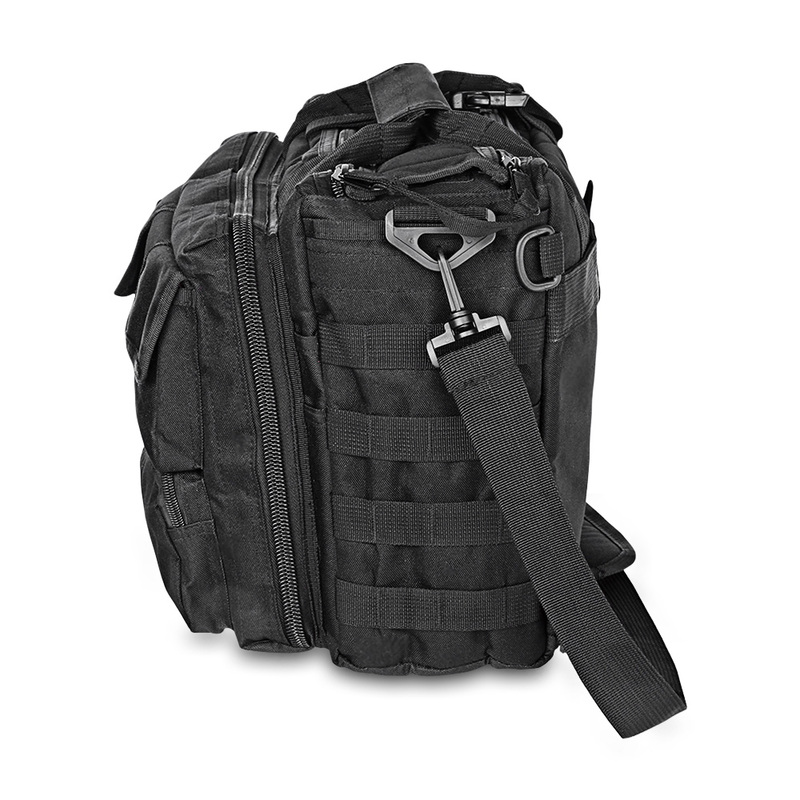 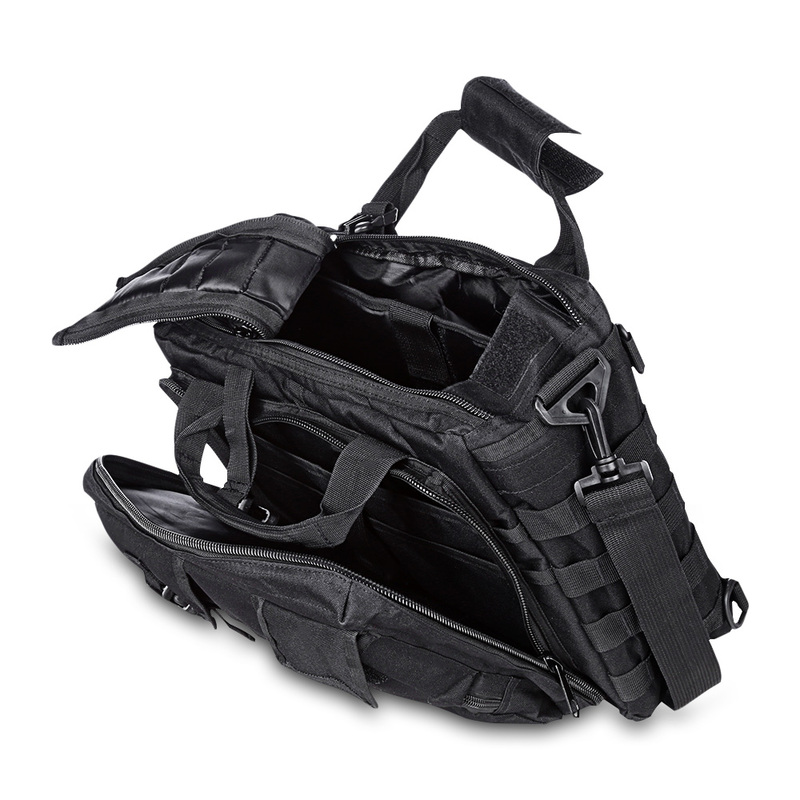 It is made of water-resistant nylon, updated buckles, and SBS zippers to ensure long-lasting performance. 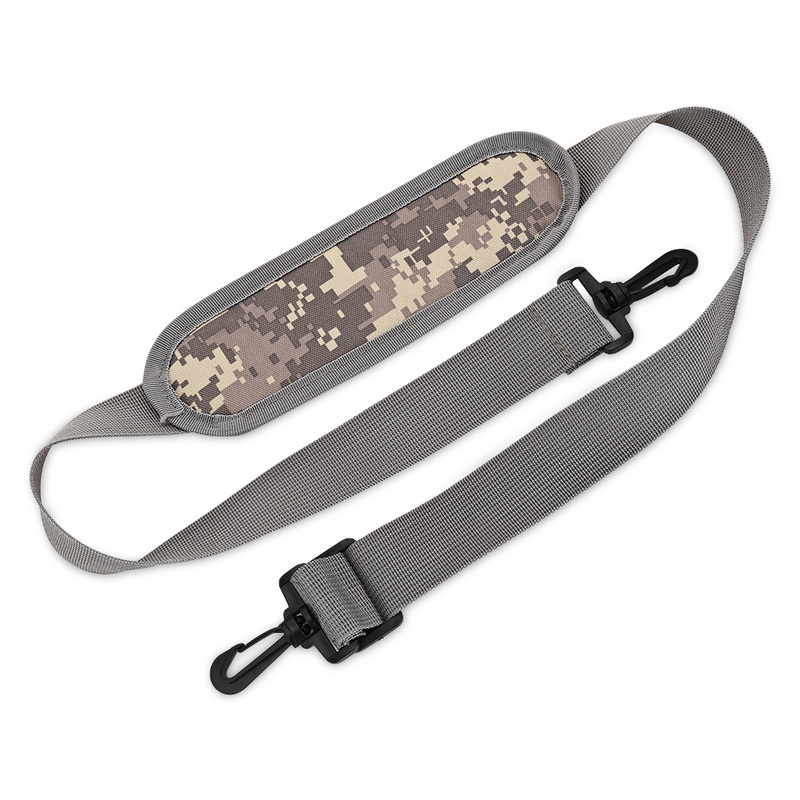 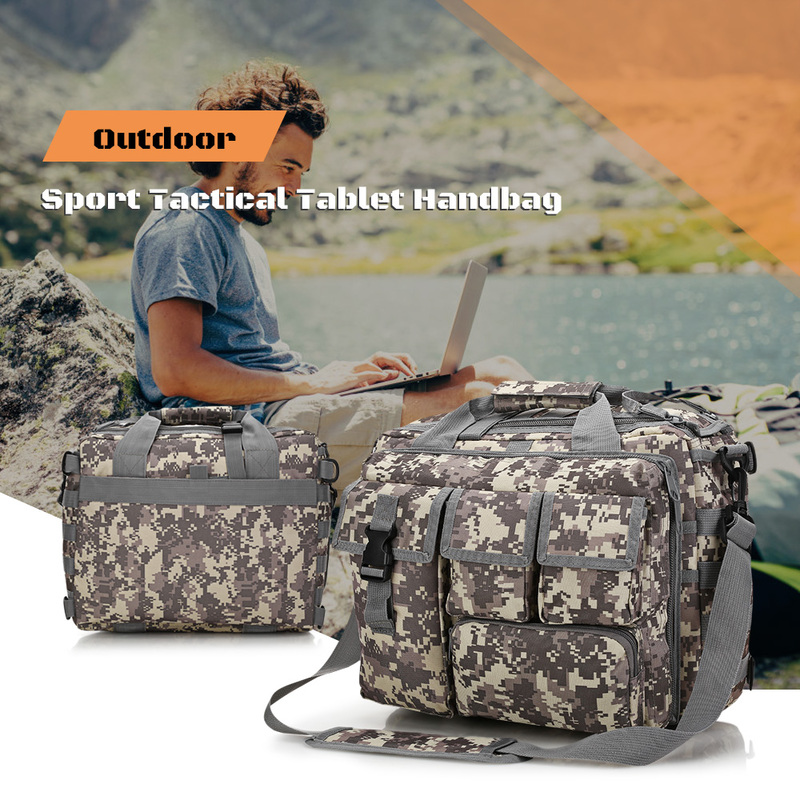 Meanwhile, it is implemented with strong reinforced seams to add strength and durability. 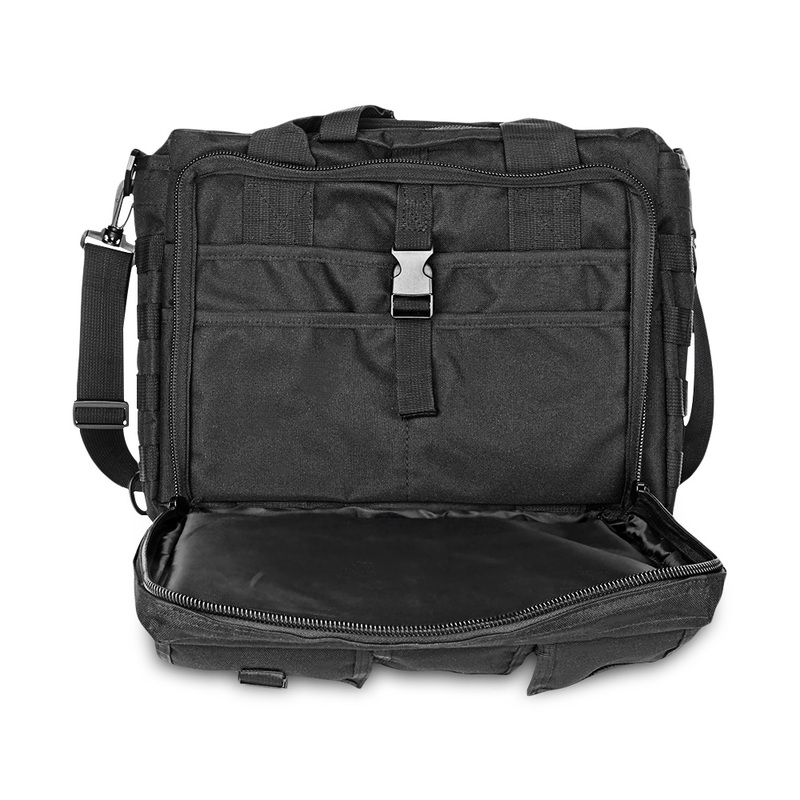 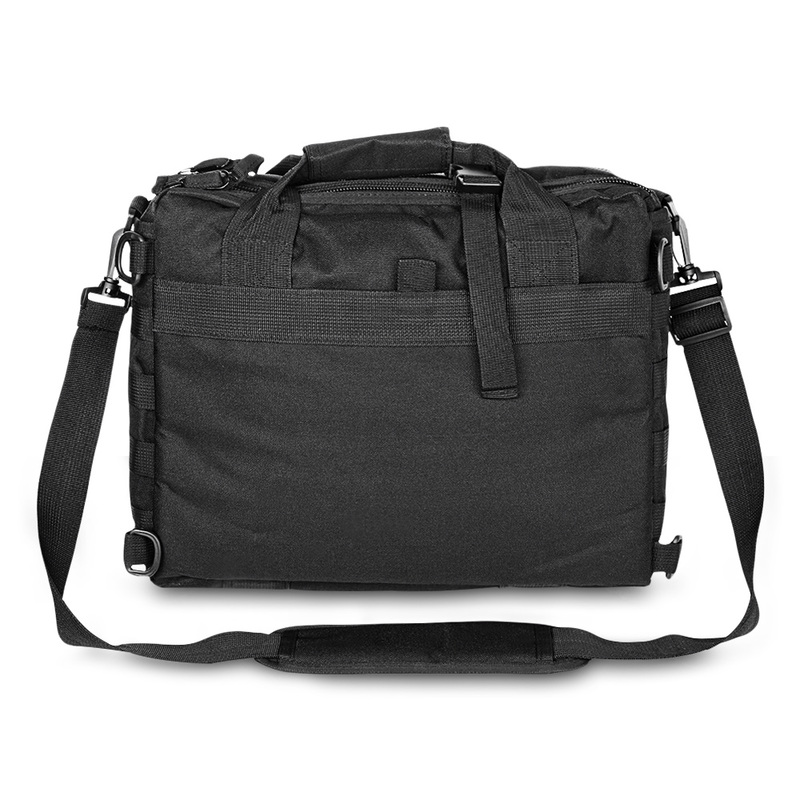 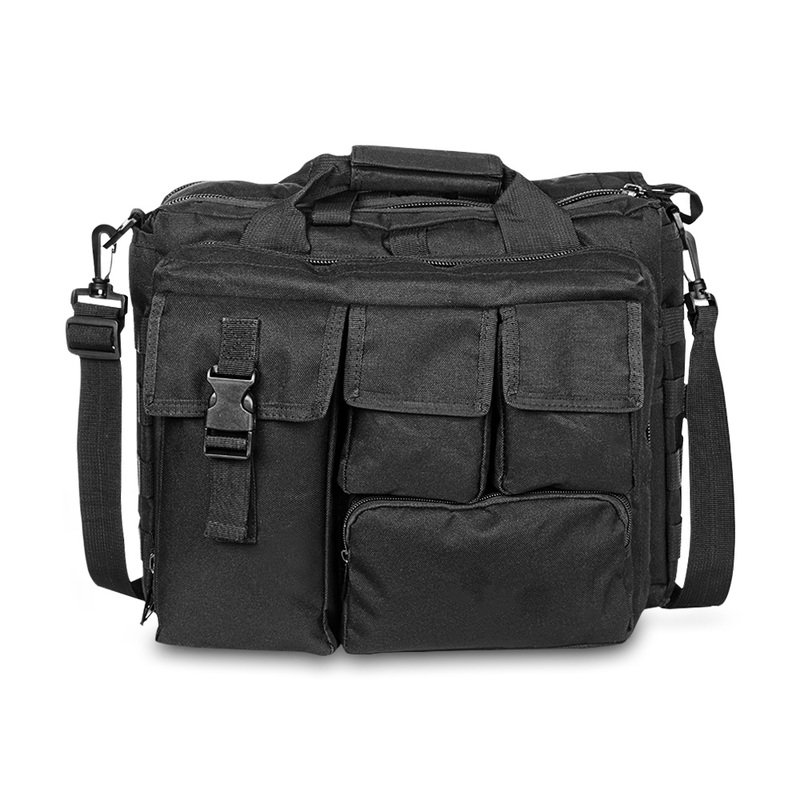 The main compartment features a laptop pocket with the anti-collision isolation pad protecting laptop against shocks. 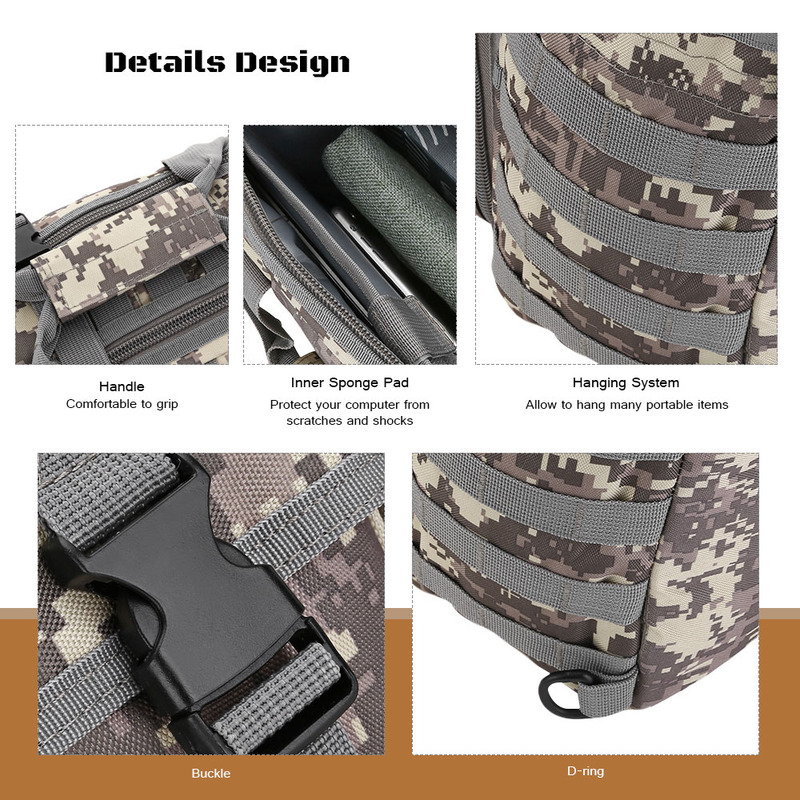 In addition, it also features a dedicated file section and multiple accessory compartments to store various documents safely and keep items organized. 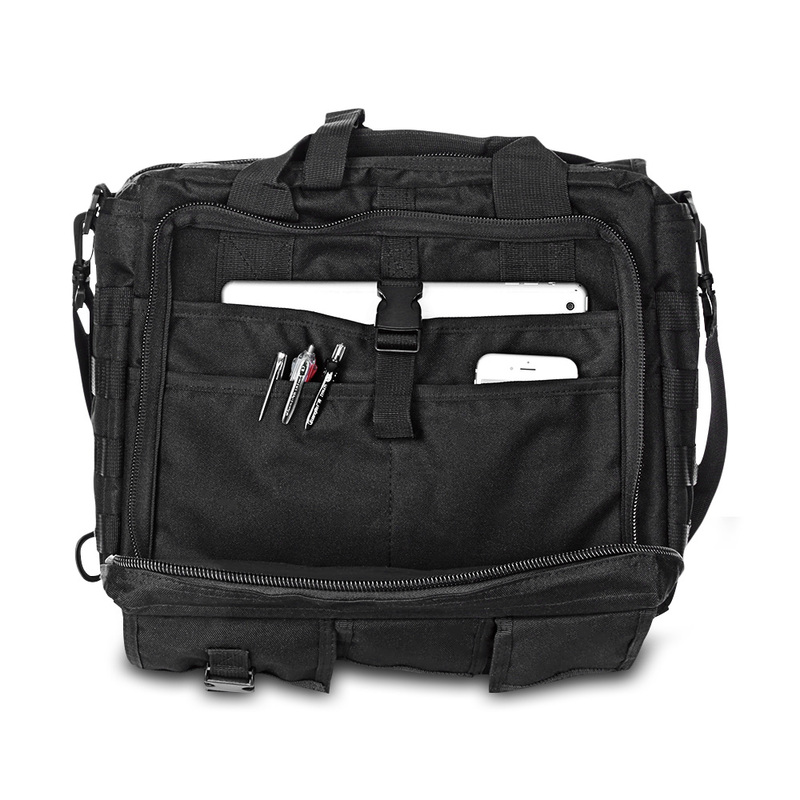 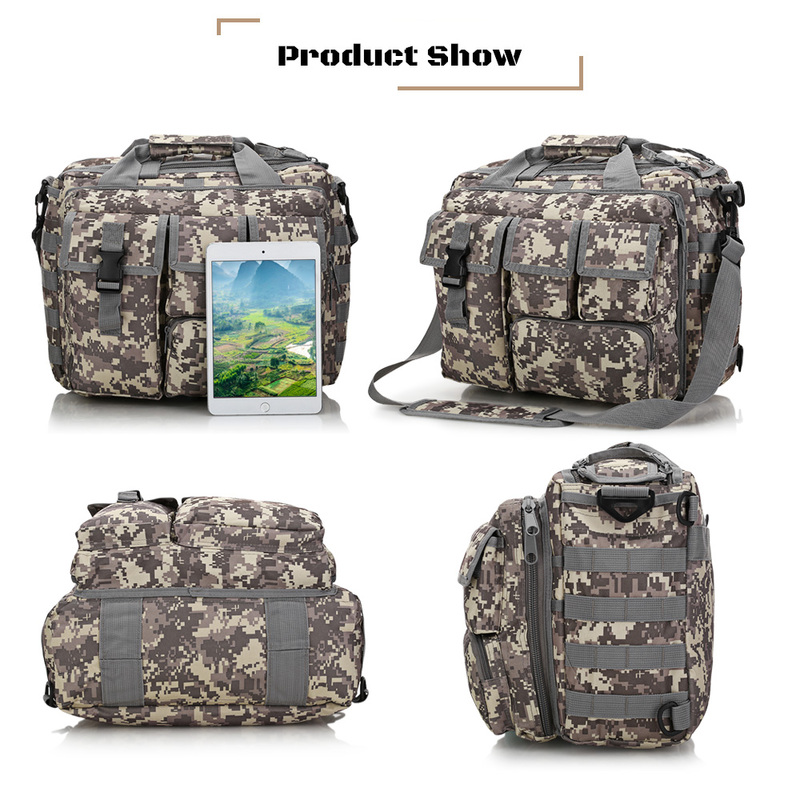 The front zipper compartment is designed with a built-in key chain and pen case, while the four exterior pockets hold cell phones, chargers, earphones, power banks or other small items. 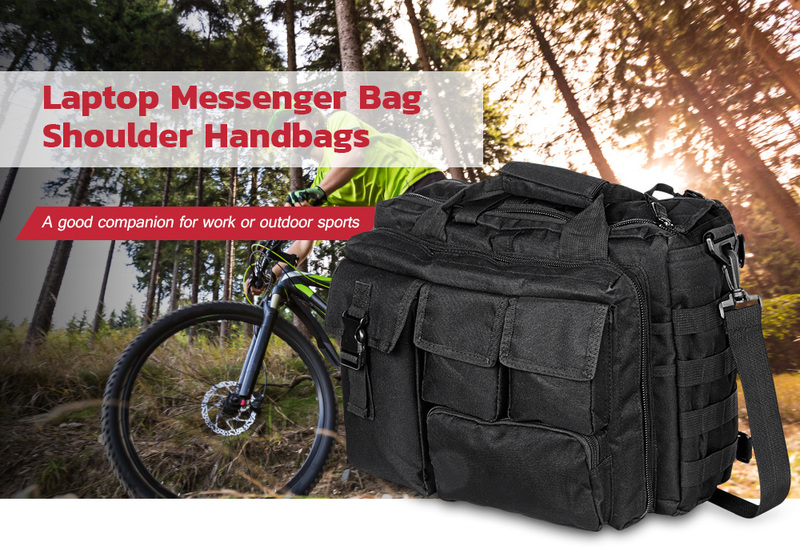 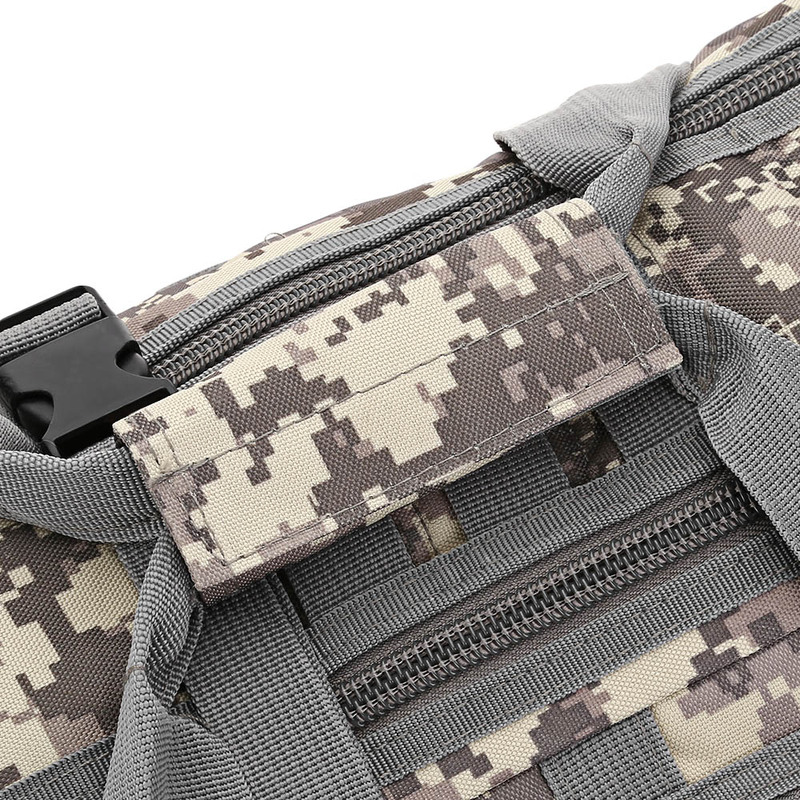 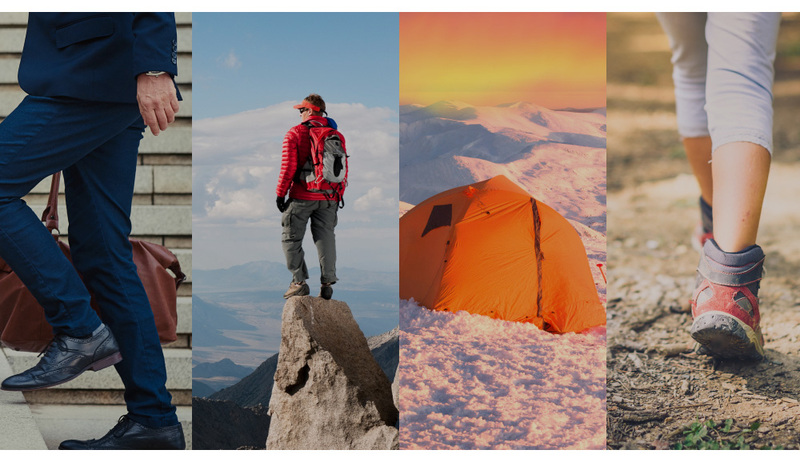 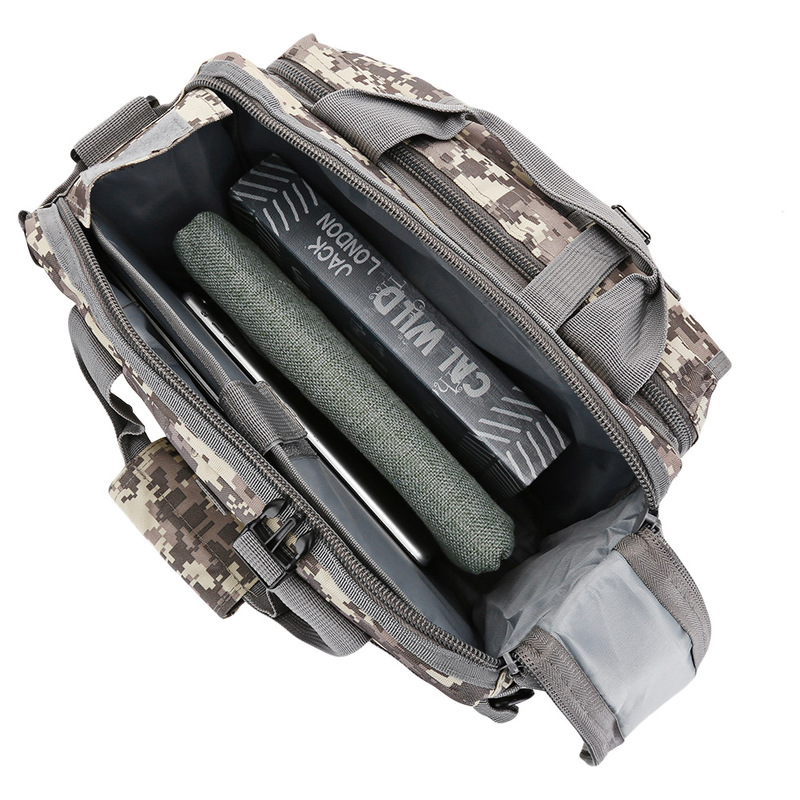 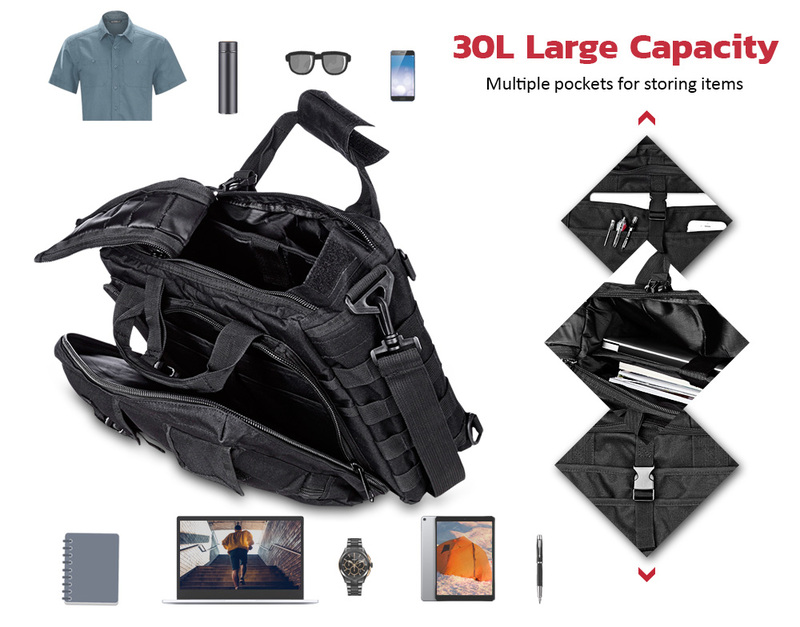 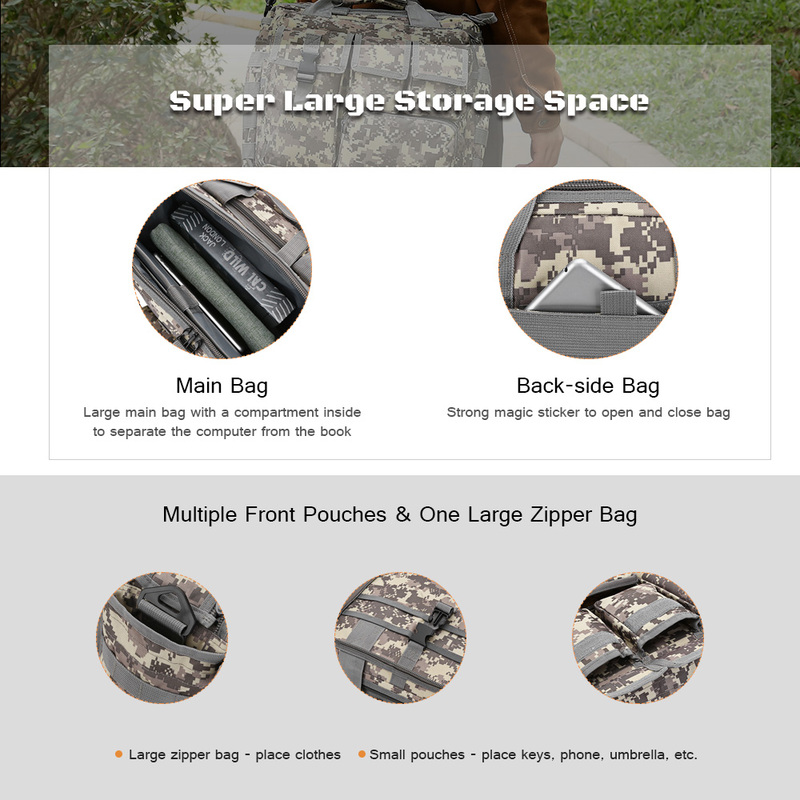 The large side pockets are designed to hold any size of water bottles, while the loops on the side pockets provide extra space for hanging sunglasses, tennis rackets, and something else. 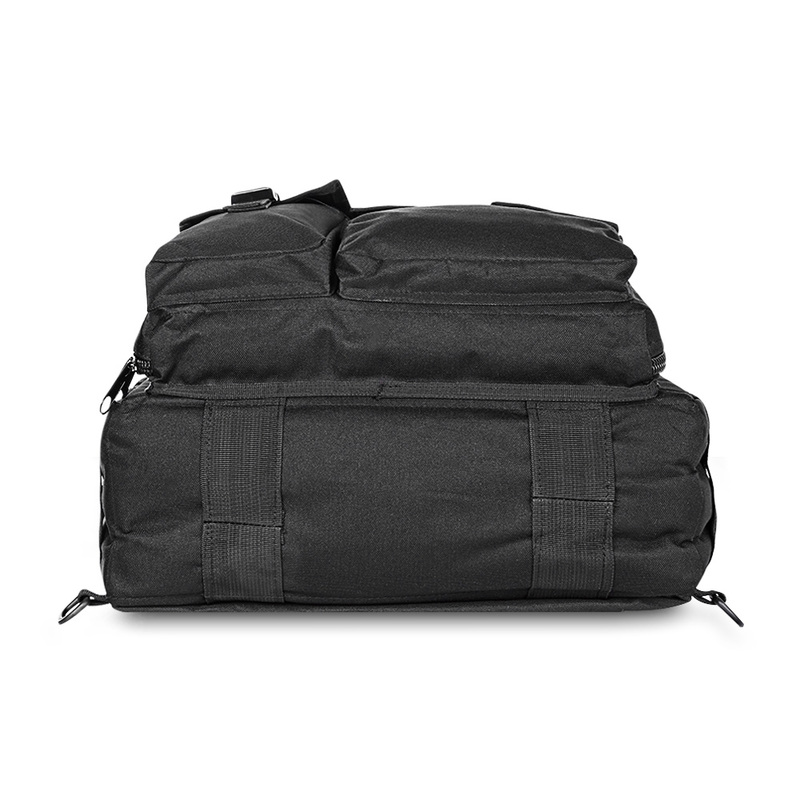 The feet pads on the bottom protect the bag against scratch. 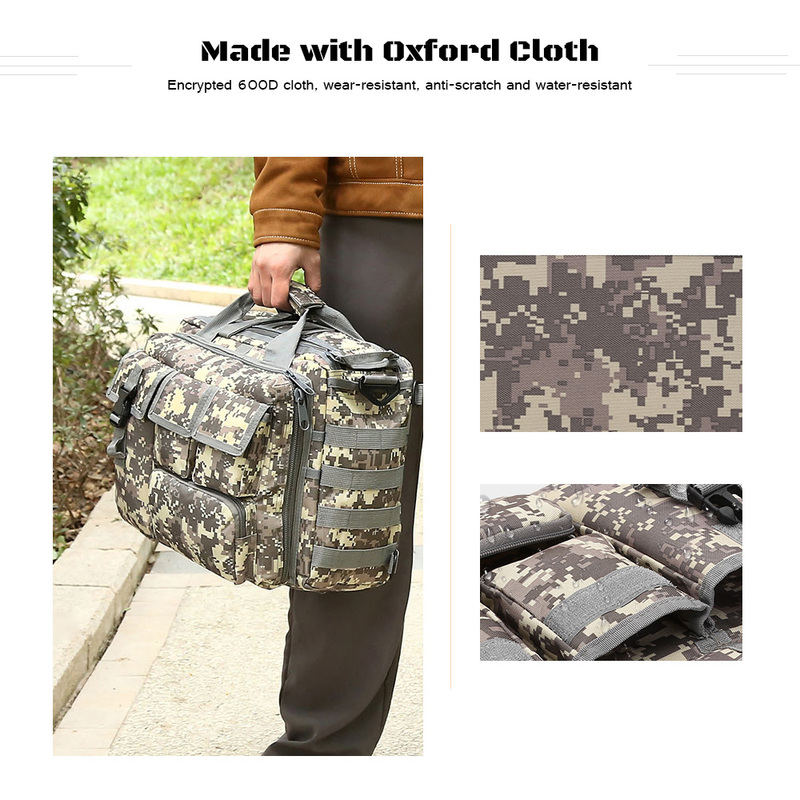 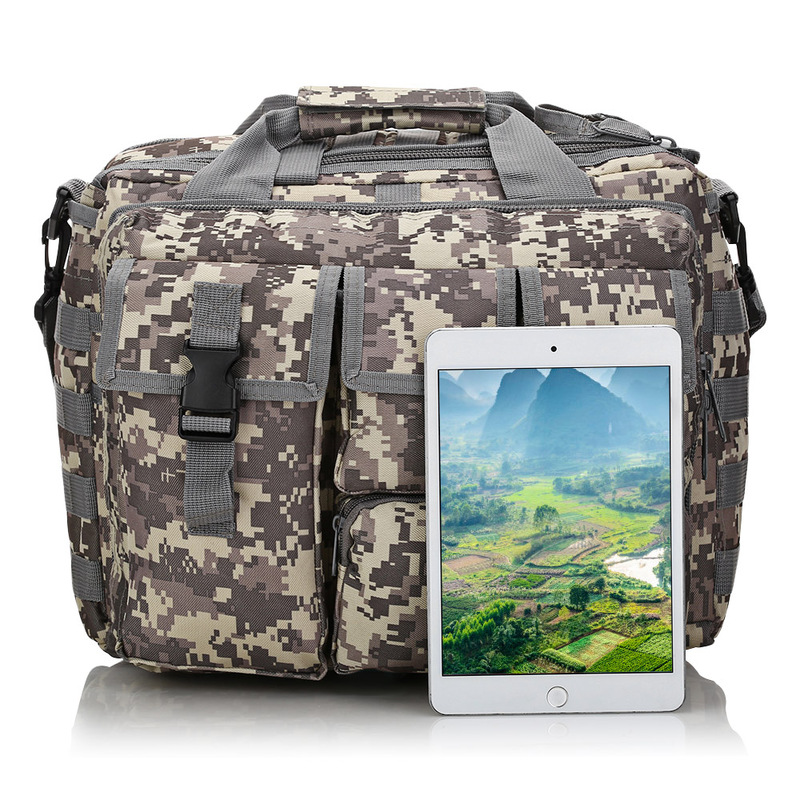 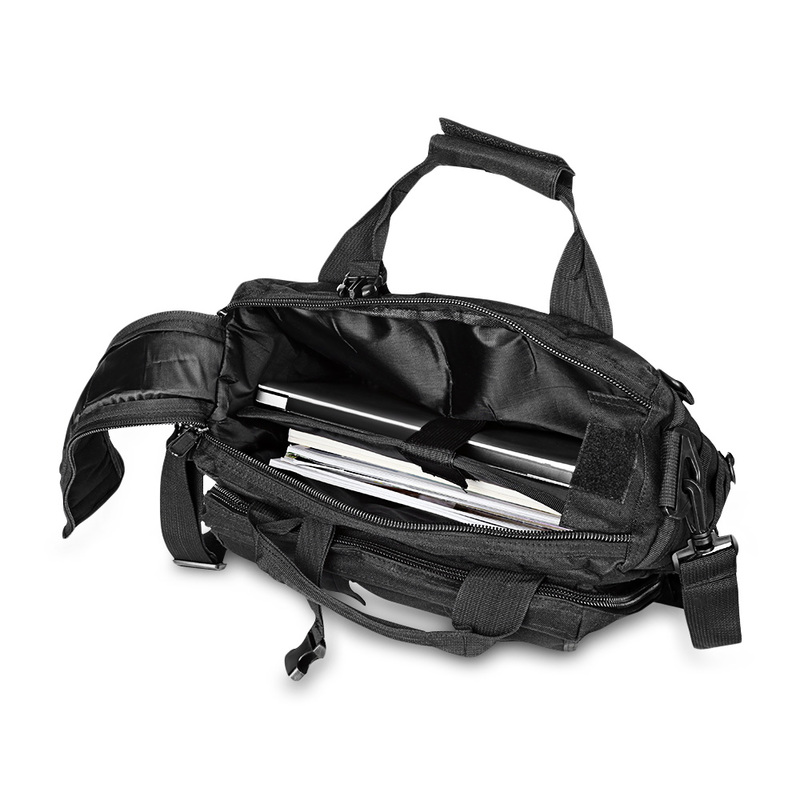 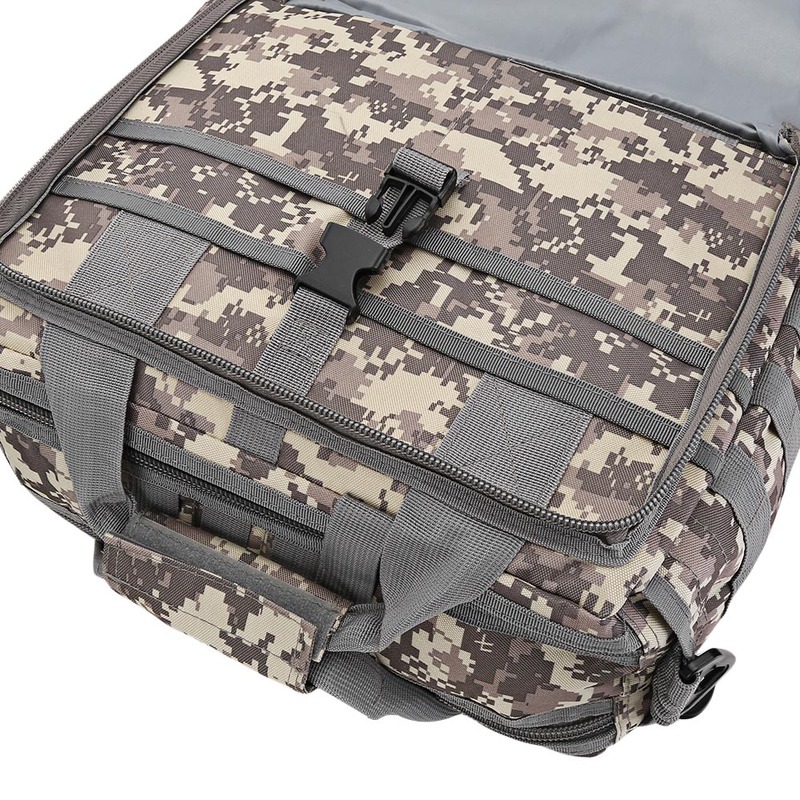 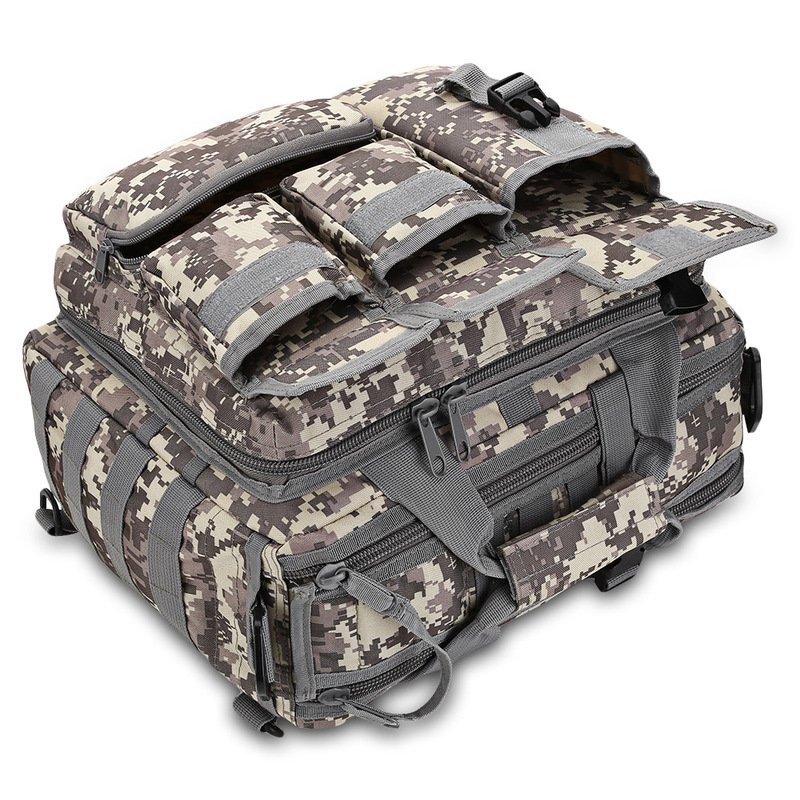 This laptop bag features a luggage strap for easy attachment to rolling luggage, dual carry handles, and an adjustable and detachable shoulder strap with the breathable pad to relieve pressure. 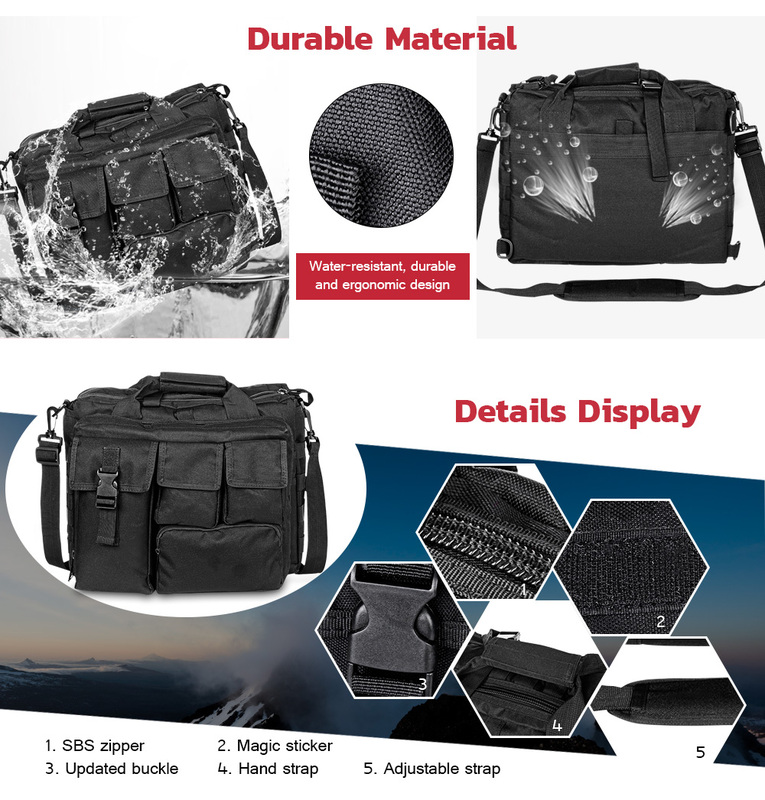 - There will be 1 - 3cm normal minor deviation on numerical value owing to manual measurement. 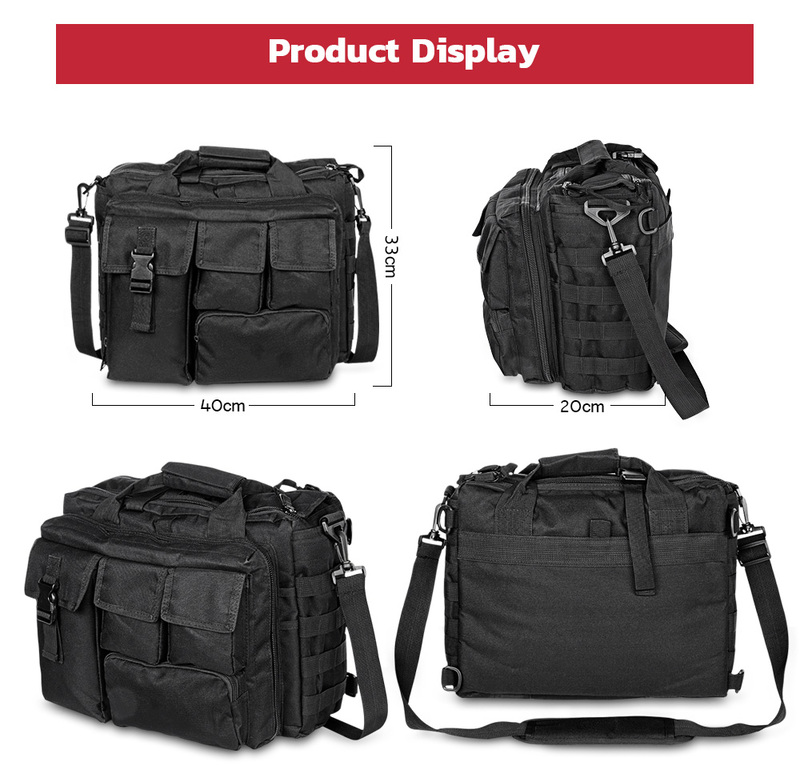 - The picture is of actual products. 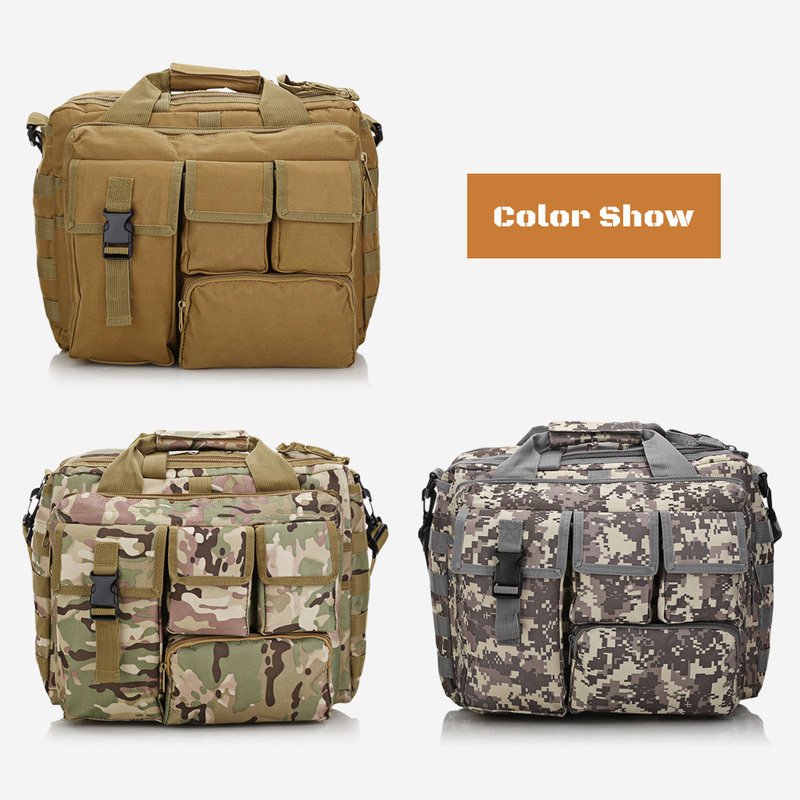 But minor color difference maybe exists in the different light and monitor setting.